The menhir was named “stone of donkey’s back” because of its shape. It stayed buried for a long time before being discovered in 1991 by archeologists. 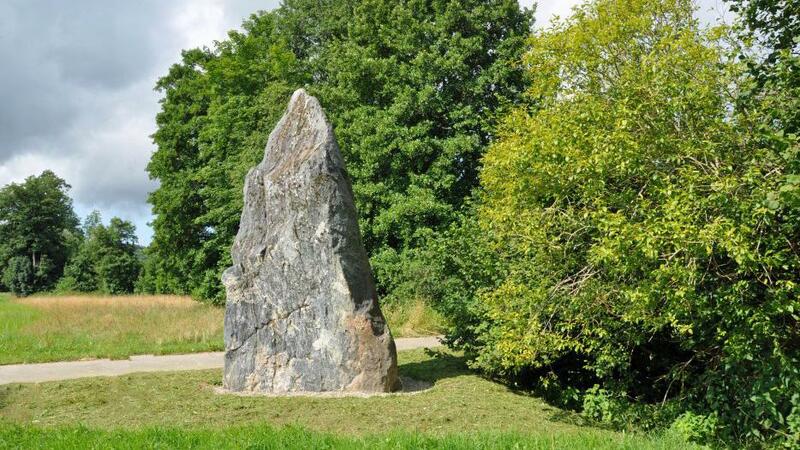 It's the biggest menhir of Switzerland: 5,6m high and it weights 25 tons. Archeologists still nowadays don't know its purpose or its origin. They believe that it was maybe dedicated to a divinity or a chief. Since its discovery, it has been moved to its current location and is standing now between Essertes and Auboranges.